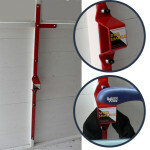 Sold Secure Approved & Police Approved Ground Anchors, Security Chains and more! 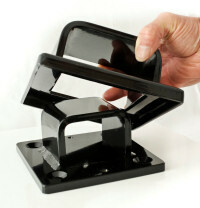 We started out with torc-anchors.com but our range has widened to include many other items so this is our new web site. 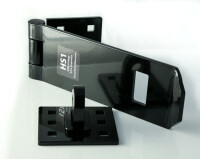 It can be removed easily and re-installed in a different position with only a new fitting kit. It comprises two, 8mm thickness, nested steel bridge sections that are held together by a chain being locked through them. It saves you money if you know you will be moving house as you don't have to leave an ordinary anchor behind and buy another one! Much tougher than virtually all other hasps on the market!